Where can you stream Godfather of Harlem? 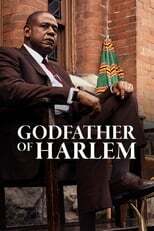 On Drama/Crime TV Series Godfather of Harlem first aired on Epix. Written and created by Chris Brancato & Paul Eckstein, and produced by ABC Signature & Significant Productions, .